Welcome to The Bakers Arms Hotel, we’re situated in Victoria Streets, and offer a friendly atmosphere. 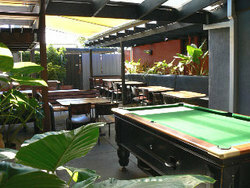 We are a Gaming venue with a TAB, bottleshop and function room. Come in and join us for a great night. This unique and charming front bar is the perfect venue for a casual get together, bar party, after work drinks or just to chill out and relax. Its original leadlight, timber panelling, authentic tiling and polished brass all combine to create a bar full of warmth and welcoming appeal. 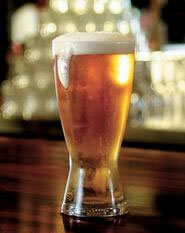 The Retreat has a wide range of local and imported beers and an extensive wine list with many available by the glass. Whether you want to watch the football on the big screen, play a game of pool, have a drink or enjoy some quality food from their very popular restaurant, you will be able to find something to your liking at the Park Hotel. The Park Hotel Kitchen is open for dinner 7 nights a week, for lunch Thursdays and Fridays, and from 3pm Saturdays and Sundays. The dining room and lounge are kept warm and cosy in winter by roaring open fires, while the spacious beer-garden is cool and refreshing in summer. 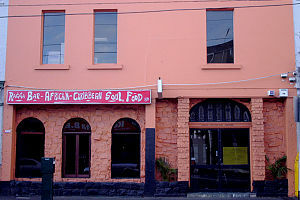 The menu features bar snacks, pub favourites, comfort foods and weekly specials. All meals are prepard on the premises and feature fresh, seasonal produce which can be complimented by our varied wine list. 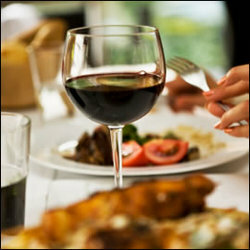 Combine this with friendly, relaxed servic and you've got all the ingredients for a great night out! Home to VicBears and Melbourne Leather Men. Also home to Midsumma Mooning, Laird Leather Man Competition, and the Men on Men Art Competition. Proud supporter of Victorian Aids Council/ David Williams Fund, Midsumma Festival, Melbourne Queer Film Festival & Melbourne Leather Pride Festival, and all things queer. The Laird also has accommodation upstairs which attracts men from all over the world wanting to stay somewhere comfortable, relaxed & men only. Whether you want to watch the football on their big screen, play a game of pool, have a drink or enjoy some quality food from their very popular restaurant, you will be able to find something to your liking at the Park Hotel. We also boasts a beer garden and are open every night, with the restaurant open for lunch on Thursdays and Fridays from 12pm-3pm, and dinner Monday to Friday from 6pm, and Saturday and Sunday from 3pm. If you're after a more intimate style of function or cocktail party, "The Old Bistro"is now called the "Departure lounge" is available . The decor certainly has the Termi feel, but hints at being a bit up itself, not too much, just enough to make you want it. 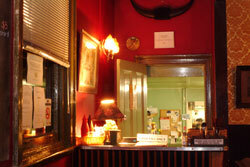 The Pubic bar features fireplaces, beautiful artwork, comfy couches, two bars, sticky carpet, lovely patrons. Its just tops!! It feels like home, with a full bar and bartenders and people to clean up after you! The bistro menu features classic gastro pub fare, from salt & pepper calamari & Mt Martha mussels with chilli, saffron & coconut milk to Cape Grim porterhouse, Murray Valley pork cutlet and our famous steak sandwich. In the a la carte dining room, options are extensive and based around modern Australian interpretations of largely Euro-inspired dishes like tender Sher Wagyu rump cap, fluffy pumpkin & goats' cheese souffle or our quirky take on bacon and eggs. We are a Spanish Restaurant located in the heart of Abbotsford that delivers the authentic taste and warm atmosphere of Spain to all diners. With delicious traditional Spanish recipes and amazing Sangria, we strive to bring you the best Spain has to offer. Whether you're looking for a romantic dinner for two, or a birthday party of twenty, we offer delicious options for all, these include a range of seafood, vegetarian, gluten-free, meat and mixed tapas the whole family will love! With a real Spanish chef with over 30 years experience, you know it must be good. We also serve a range of cocktails, beers, wines, and other beverages, and at the end of your meal you can indulge in one of our delicious desserts. Tavern and Hotel located in Armidale. Family owned and operated, Dedes is built around the traditonal of great service and great quality food. This, coupled with our modern cuisine has catapulted Dedes to the forefront of contemporary dining. 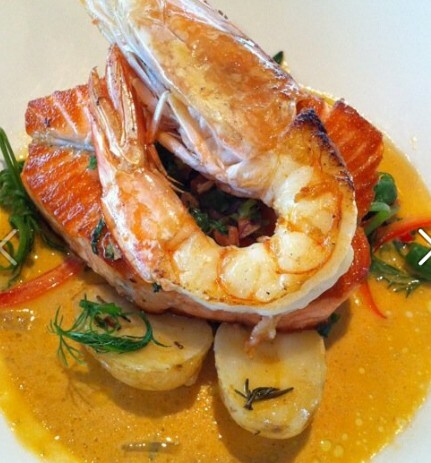 A true dining experience, Dedes offers modern, contemporary cuisine in a casual, yet elegant setting. 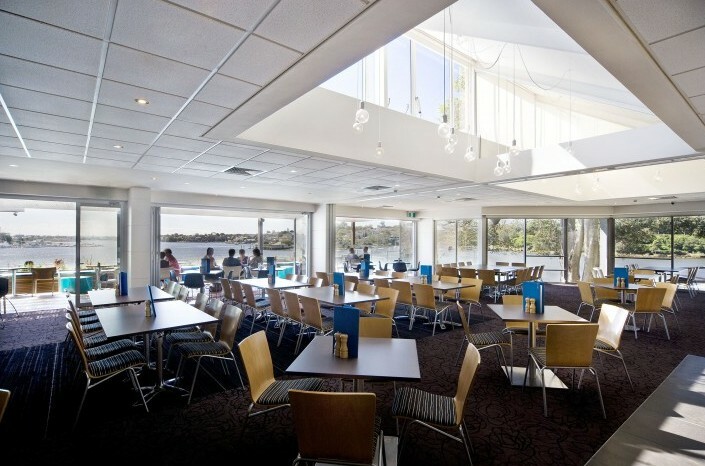 Located on a tranquil, icturesque bend of the Parramatta River, we invite you to taste the view. Located in Abbotsford, The Vic has a warehouse feel about it, with white washed brick walls and a high roof exposing beams with chandeliers for that added class. 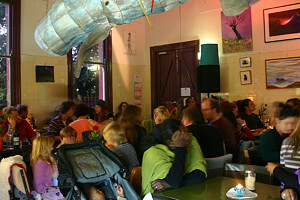 With comfy couches this lounge bar has a relaxed but vibrant ambiance about it every night of the week. With DJs on the decks over the weekends, it's the perfect place for a cocktail and a catch up. The cocktail lists are extensive and the wine lists are impressive. 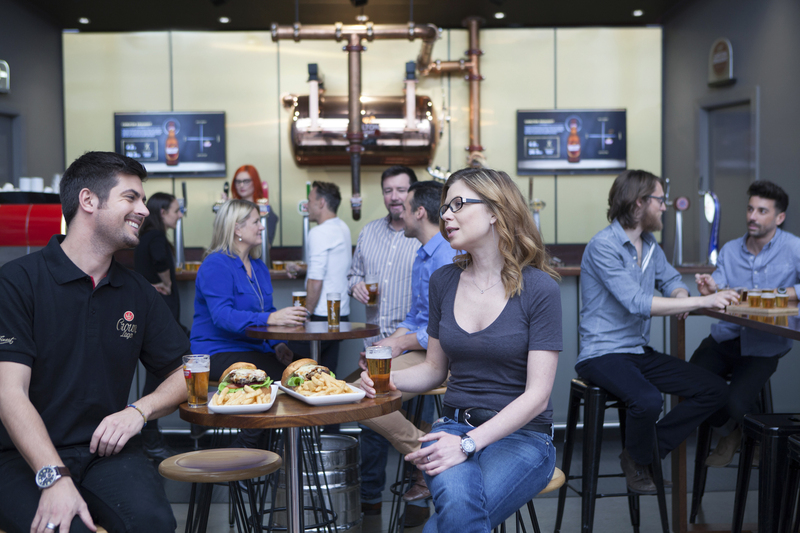 Yak Speakeasy, on Hoddle Street in Abbotsford, is open 7 nights a week and hosts a number of live music gigs including jazz, blues and acoustic performances.